At Meadow we believe that it is important to prepare children carefully for these changes, in order that they have the best chance of making a smooth and confident transition, by focusing both on the skills sets required and the opportunities that such a change presents. We start preparing the children in Year 5 - the children are encouraged to become much more self-reliant in their learning, to think about how to organise their learning and manage their time, how to research, how to evaluate their work and to identify the next steps in their learning journey. This helps them to prepare for the greater demands for independent learning and juggling their time that secondary school makes. In addition, children in years 5 and 6 take on a variety of school monitor roles, helping with a range of tasks around the school, including Team Leaders, Head Boy and Girls, Play Leaders and a whole host of other responsibilities. As well as making a valuable contribution to school life, these roles help the children to develop commitment, organisational skills and a sense of personal responsibility that will stand them in good stead for secondary school. Experience of the secondary school environment is also very helpful. At various points throughout Years 5 and 6, children gain experience of local secondary schools as we participate in activities such as the Science and Technology event at Blenheim High School – enabling pupils to become more familiar with the physical surroundings, as well as meeting pupils and children from other feeder schools. It is acknowledged that transition from primary school to secondary school may be just as big an event for parents as it is for children. Therefore, we invite parents to contact us for any information that they need. Any period of transition can be emotionally unsettling and confusing, and transition from primary school to secondary is no different. On the one hand, and oscillating back and forth from moment to moment, children may feel that they are looking forward to new opportunities, or on the other may feel insecure at leaving a familiar environment; they may be looking forward to meeting new friends, or worried that they may lose touch with current ones. We explicitly recognise this and, in the summer term in particular, timetable regular PHSE sessions to voice and constructively address their mixed feelings. For example, we reflect on past experiences and look forward both to opportunities and challenges; we explore ways to make new friends and who they can speak to at their new school if they are worried about anything once they start. Secondary school undoubtedly places extra demands on children in terms of personal organisation, time management and a more complex journey to school. Experience shows that children who are well-prepared for these transition more successfully. Parents can play a key role in helping children to gain confidence in taking on these challenges in a progressive way. For example, throughout Year 6, children should be encouraged to take responsibility for organising their own school bags, PE kits and musical instruments. In addition, they could be encouraged to identify a regular time for completing home learning each week. Closer to the time of transition, parents could explore bus timetables with their child and could try a dummy school run – perhaps allowing the child to board the bus independently and arranging to meet them at the other end. In order to ensure that children make a smooth academic transition from Meadow to their chosen secondary school, and that new teachers are fully aware of each child’s strengths and capabilities, our Year 6 teachers fully brief each school about each pupil. As a result, in addition to the sharing of SATS results, this affords a valuable opportunity to share teacher assessment data, as well as information about children’s sporting, artistic or musical interests. For SEN children, our SENCo and Year 6 teacher may also hold additional meetings with the SENCo from the relevant secondary school. Furthermore, formal documentation of primary school SEN support arrangements for the child may be completed and passed over, where this is necessary. These may sound pretty basic, but there isn't a simple, 'one size fits all' way to transition into a new environment. Every child is different: academically, emotionally and socially. Inviting the SENDCO's from the secondary schools to come into school to meet with the pupils, and the SENDCo. Making the change from primary to secondary school can be a daunting time, both for your child and for you! This guide is for you as a parent to read and share with your child to help you both prepare for the transition. As a parent there’s lots of practical matters you'll need to consider before the start of school and thereafter. Practice how they will get to school, buses, walking, alternative routes and problem solving (what to do if they miss the bus). Apply for bus pass if needed. reassured they know how to be safe – for example acceptable boundaries. Establish an honest an open relationship with school – if you or your child has any concerns contact your child’s new school or current primary school so that issues can be addressed. If you consider your child as particularly vulnerable establish a key person in their new school that you can work closely with to help your child. Understand that although secondary school is different to primary, your school still cares for your child, if anything concerns you or them get in touch. Schools have an open door policy right the way through to year 11. Ensure uniform is correct and appropriate including footwear and hairstyles. Any questions or issues with regards to cost, contact school. Attend the Parent Induction Evening. This will tell you everything you need to know about your child starting at the school and how things work, it will also help you and the new teachers get to know each other. Read the prospectus including the phone and attendance policy. school. Encourage them to use a locker at school to keep belongings safe. Help your child facilitate their homework and get in touch with school if it is too difficult. Set up your lunch payment account, whether it is a cashless system or your child is on Free School Meals, know how it works and what is available. Talk through the choices with your child. Your child will receive a planner – ensure you are familiar with the contents and check it regularly. Ensure children conduct themselves safely online and encourage them to concentrate on developing their friendships face to face and resolving differences respectfully. Ensure your child has access to their emergency medication and that school have the correct documentation with regards to their health needs. Do you remember your first day at big school? Were you daunted by how large your new school seemed or maybe you felt a bit lost amongst all those teenagers at breaktime? How about all the new subjects, the fact that you had lots of different teachers and, of course, new school mates to try and make friends with? 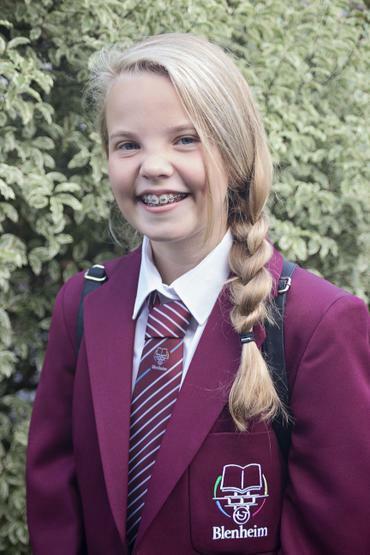 When preparing your child for secondary school it can help to step back in time and remember all those emotions you felt as you stood in your new school uniform and prepared to make the leap into the great unknown. Whatever you do, don't dismiss any apprehension your child says they're feeling about starting secondary school. It's important to listen to their worries and have a think about what you can do to help. Try not to worry – the transition from primary to secondary is daunting for any parent. It can leave you feeling out of the loop and you can feel a loss of control. You no longer drop your child off at school and may not even know their new teachers. Your son or daughter will make new friends and this may also add to your anxiety but try not to worry as your child will pick up on this. See this as an exciting time and the start of your child’s adult life. Communicate – don’t feel you can’t speak to the school. Secondary is very different from Primary but they will welcome any correspondence from you and they’ll be grateful that they have your support. It’ll make you feel better as well. You don’t have to wait until parents evening if you’ve got concerns. Talking to other parents is also very comforting and will offer reassurance and you’ll soon realise that you are not the only one experiencing these changes. Accept – try to accept where you son or daughter is. You want to be able to change anything by trying for force the issue. Just let them know you support them and are there for them. Encourage their independence and free thinking. Try to provide a stimulating home environment where their opinions on things – such as current affairs or music - are listened to and integrated into adult conversation. Not only will this help your child to develop good social skills but it will give them a strong sense of self and help them to know their own minds. Remind them of the importance of not blindly 'following the herd'.